The bat has yet to be formally documented as a new species, or even named. 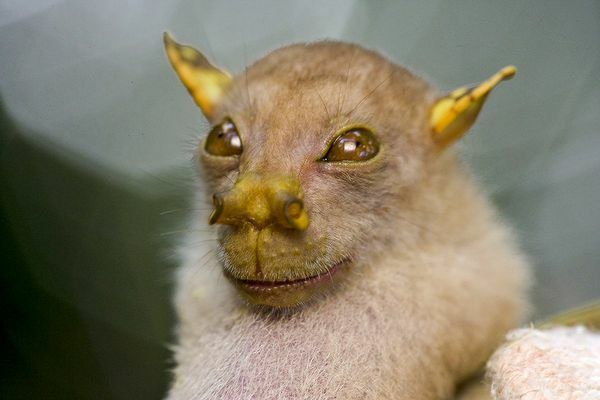 Like other fruit bats, though, it disperses seeds from the fruit in its diet, perhaps making the flying mammal crucial to its tropical rain forest ecosystem. 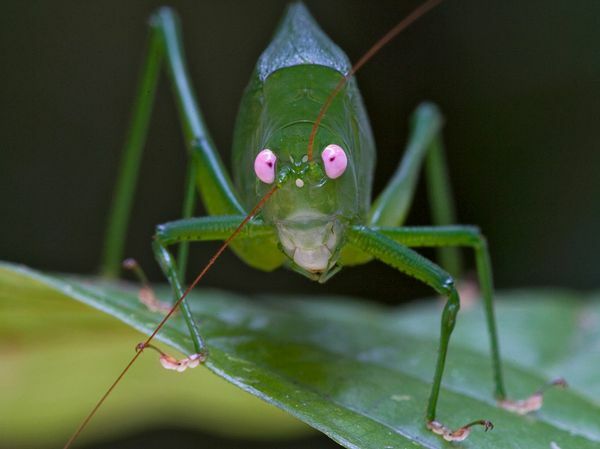 Camouflaged in a Muller Range forest on Papua New Guinea, a new leaf katydid species peers pinkly at the camera in 2009. The animal likely eats flowers in the forest's tall trees, researchers said. 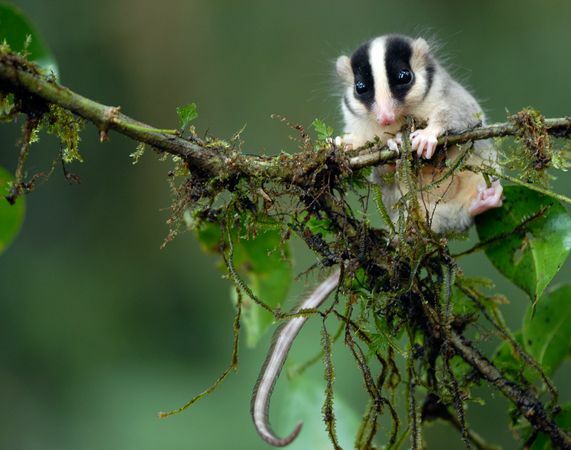 A feather-tailed opossum clings to a tree branch in Papua New Guinea's Muller Range in September 2009. Though it has yet to be scientifically documented, the elusive species has been reported once before before, on a nearby mountain in 1985. The possum may have been attempting to catch moths, the researchers said, as it was found near a light trap intended to lure nocturnal insects. 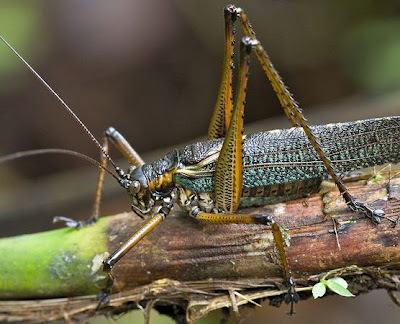 Not much is known about the creature, though the structure of its tongue suggests a diet including nectar. Found in the Muller Range in September 2009, a new, unnamed species of katydid glimmers dark emerald—a color Naskrecki, director of Conservation International's Invertebrate RAP, had never before seen in katydids. 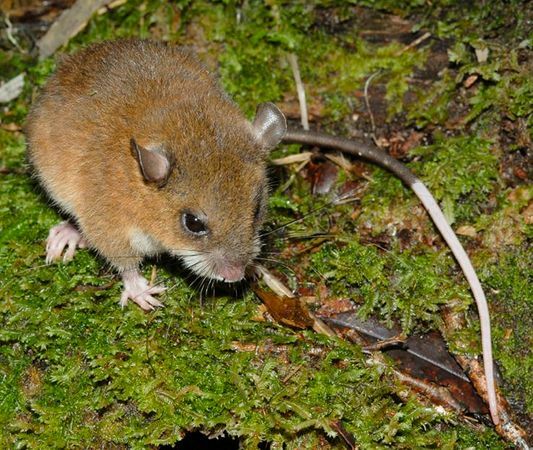 This new species of long-tailed mouse resembles tree mice of Papua New Guinea, but don't be fooled: The rodent, found in the Nakanai mountains in 2009, lives on the ground.